Will you be admitting people in multiple zones? Are you giving attendees the ability to leave and re-enter the venue? Are you willing to spend the extra money for the convenience of RFID technology? Are your attendees going to be expecting the newest technology available while attending the event? Take the time to answer these questions in great detail. For example, a small event, such as one with 50 to 100 attendees, can be managed through more traditional means. Conversely, if you are expecting 1,000+ attendees, RFID technology can save you time and money. 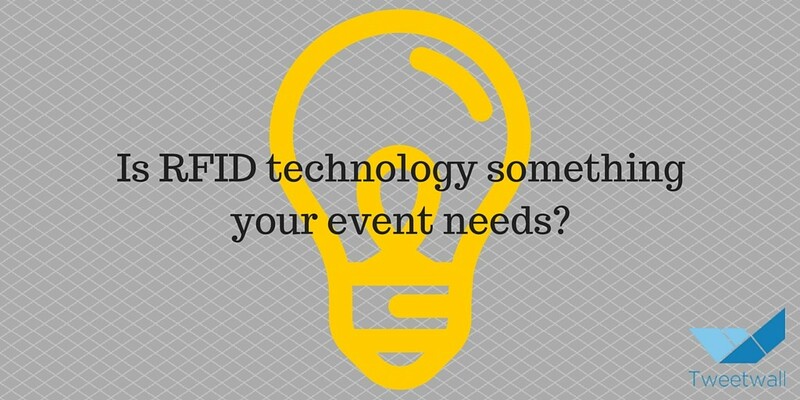 With the growth of RFID technology used at events, it may almost be expected at your event. Don’t surprise your attendees with old technology and make them skeptical of your event before even attending. Can you describe your biggest failure at an event? What should we do if something goes wrong with the technology? Who is your chip provider? How long does it take to install gates and portals? Some providers will have the same answers to these questions. Others will provide you with a more unique solution. It is up to you to decide which company you are most comfortable with. Just make sure that you chose a company that is a good fit for the size, needs, and design of your event. You may have ignored RFID technology in the past, but you don’t want to continue to do so in the future. It’s not the right solution for every event, but it could be just what you are looking for. If nothing else, now is the time to learn more about RFID technology. The knowledge you collect will come in handy as you make a decision.